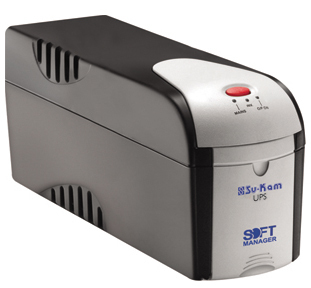 Su-Kam is the leading Power Back-up Solution provider in India, with its consistent focus on technological innovation, has attained heights unheard of in the largely unorganized industry. Having a clear technological edge, creating new benchmarks and upgrading standards for the industry, comes naturally to Su-Kam. Today, Su-Kam is the established leader in product innovation, design sensibility and sales distribution network. An ISO 9001 and ISO 14001 certified company, Su-Kam - is the only power Back-up Solution provider in India, with a state-of-the-art in-house R & D facility, recognized by Government of India. Su-Kam has several state-of-the-art production facilities, systematically planned and built to modern construction standards. The plants are equipped with sophisticated assembly lines and are backed by completely integrated in-house component manufacturing facilities and R&D Centers. Software Controlled Overload and short circuit protection. An Extra Wide Input Voltage Control.